The North Columbus area is one of the hottest areas for new business, restaurants, shopping, and schools which means that there is a high demand for Homes for Sale in the North Columbus area as well as the surrounding areas to the North and East. We will be glad to guide you through the various neighborhoods, subdivisions, and price ranges for the Homes in North Columbus and help you determine if this is a good fit for you and your family! Harris County lies to the North of Columbus and has a more rural small town feel. At the same time it is just a short drive into Columbus and for that reason has become a bedroom community for Columbus, Homes for Sale in Harris County are on more acreage usually at least 1 acre but most are 2 to 5 acres and more. The schools in Harris County have high ratings with the various rating system which also increases the demand for houses in Harris County. 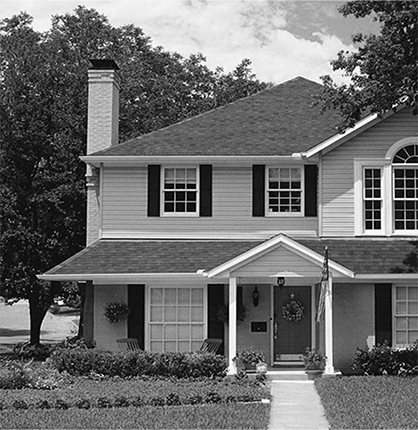 We work heavily in Harris County and will help you evaluate the best tome Home for your family. Fort Benning is the largest employer for the Columbus GA area and as a consequence drives a lot of the demand for homes for sale. We are very adept at working with Military families and VA mortgages and understand the needs involved with PCS moves to and from Fort Benning. Most of our team members have the Military Relocation Professional designation. We look forward to helping you transition to and from Fort Benning! Midland Ga is a really nice area on the Northeast side of Columbus and is experiencing a lot of growth in both homes and shopping and services. People seem to love that part of town as it has easy access back into Columbus and yet feels a little more rural and laid back. Schools rate well in the area. Midland overlaps to include Columbus/Muscogee County and Harris County. Our team is very adept in the Midland area and can help you evaluate the subdivisions and homes for sale in the Midland area. Hamilton is a small town in Harris County that is the county seat. It is about 20 miles north of Columbus and is the perfect location if you want a small town feel. The high school and Middle school are both located in Hamilton. Hamilton is also close to Callaway Gardens, and Roosevelt State Park offering a ton of natural recreation and golfing. Hamilton is a wonderful area to live and our team can help you find the perfect home for your family in Hamilton! Fortson is within Muscogee County just on the Northwest side of Columbus and has bigger lots and very nice homes but still close to town and easy access to all the amenities within Columbus Ga.
Our team would love to help you evaluate the Homes for sale in Fortson as well as the subdivisions and help your family make a great decision! Fort Mitchell Al is at the West gate of Fort Benning on the Alabama side. It is about 15 miles out of Phenix City and Columbus but gives military people easy access to the base, especially if they work on that side of the base. A lot of new construction homes have popped up in the Fort Mitchell area over the last 10 years. Our team works extensively in Fort Mitchell and can help you evaluate the homes and neighborhoods for you and your family. Phenix City, AL is just across the River from Columbus Ga and close to Fort Benning. A lot of military prefer Phenix City because the property taxes are lower and military retirement is not taxed. It is also just a short trip to Lake Harding and Auburn AL from Phenix City. Our team would be glad to help you evaluate the area and help you find the best subdivision and home in Phenix City! Why Work with the Columbus Home Show Team? Welcome to ColumbusHomeShow.com, your one-stop source for Columbus, GA, real estate. Welcome to ColumbusHomeShow.com, your one-stop source for Columbus, GA, real estate. We also cover all the surrounding areas like Phenix City, Fort Mitchell, Harris County, and properties around the River and Lakes. We are consistently in the top tier of agents in this market! Use our state-of-the-art property search, including an interactive map search, to find homes for sale in Columbus, GA. These listings are updated daily from the MLS. Come join us at Midland Downs in the afternoons! We will be holding these new homes open from 3-5 just as you are getting off work.. If you are a home owner looking for information to put your home on the rental market - We suggest our partner Ten 20 Property Management! They are the highest rated and best property management company in the area. They offer concierge service for both the homeowner and the tenant and are tech savvy and can handle all aspects online.